Cool and darker everyday. Silver and grey as the bare tree limbs, icy blue as the water is today. To me these complex matrix patterns are just a reflection of what’s hibernating under the soil and behind the bark and fallen leaves; disintegrating into forest floor mulch to be perfect food for new spring time growth. Sometimes I’m right there myself, everything coming together, right place, right time, right chemistry. Then, Blammo! The new and exciting emerges from the duff. This bowl or basket container I made quite a few years ago. Today I realized it had never been in the photo gallery. It’s a hummer. Hand coiled horsehair rope, sewn by hand and finished with trade era white-heart glass beads. Stands 7” high and is 9.5” dia. at the base. Heavy, rough and wild in aspect. It could hold a variety of things. The challenge of working with pink. It is almost an alien color to me. Low on my list of yummy colors, at least partly due to family history and relationships I believe. Seems like every so often I have this urge to confront the pink blockage I guess. Well, I love this one as all the rest of them. 4.5” diameter it has a grand presence. The color field works and even my own jaded pink history has to love the piece. Whether or not it heals anything of familial qualities has yet to be seen. Now that would be a great therapeutic technique I think. A whole new arena of study. Make eye candy and brain toys, voila, the rest is history. Yes! 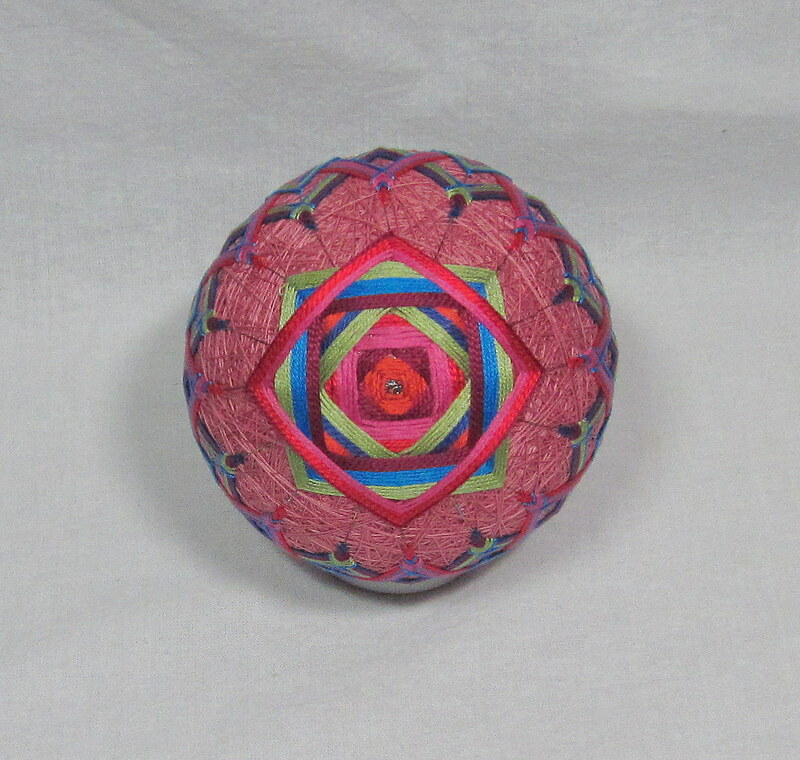 Temari, a new pattern for me. 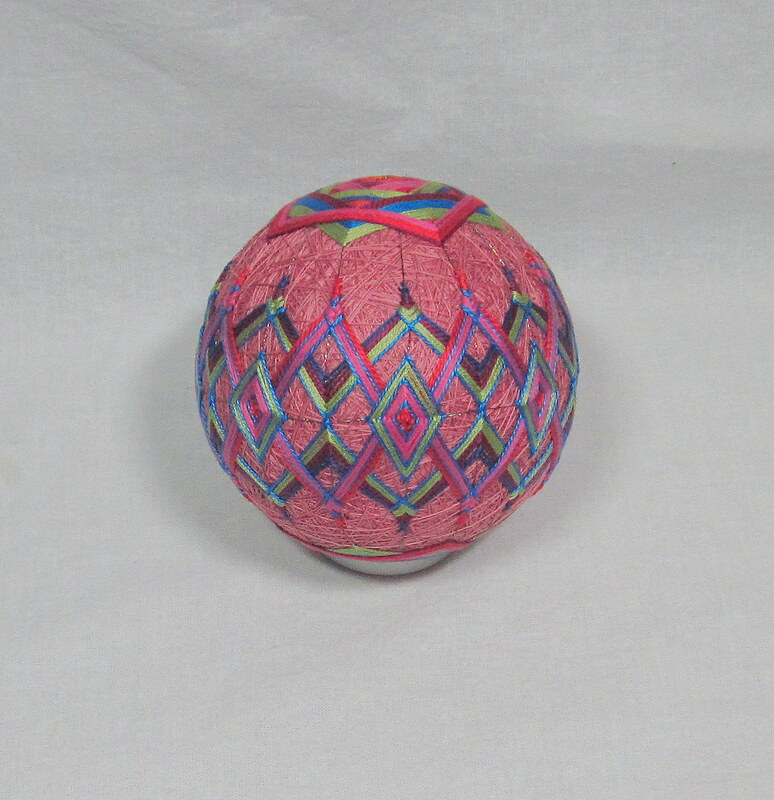 I have been tracking this all over swirls pattern since I started making Temari. I just couldn’t sort it out till three days ago. What is it about the brain? You see something and look again and again at it, not quite getting the ‘how’ of it. All of a sudden that light pops on or the bell sounds. 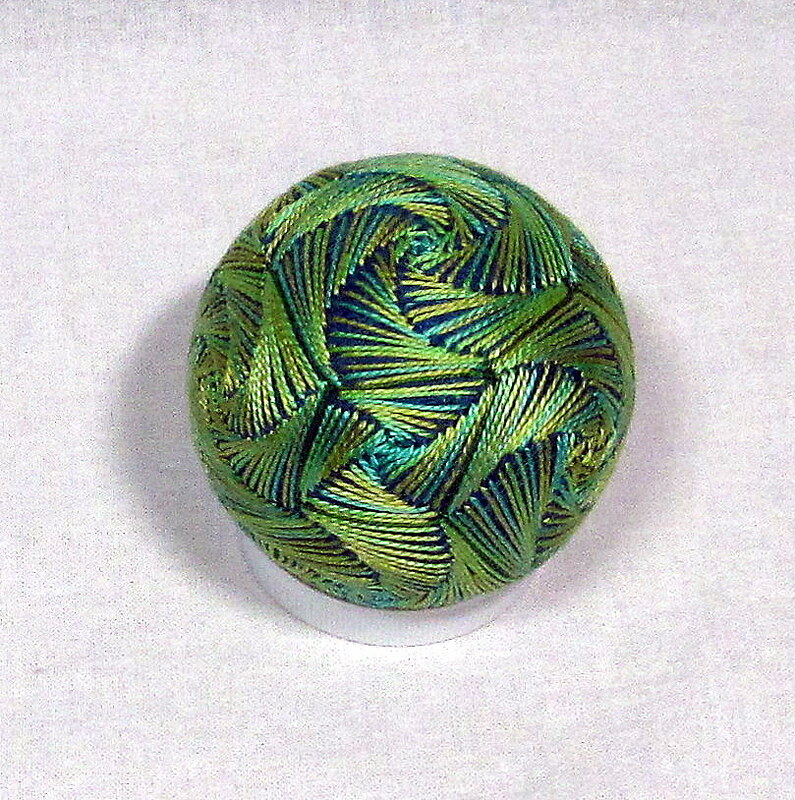 As a first it turned out really well, 3” diameter, done with a variegated color strand that finally found it’s purpose. This wonderful pillow cover is sized to fit a king size insert. The art and the main body fabric came from the client. 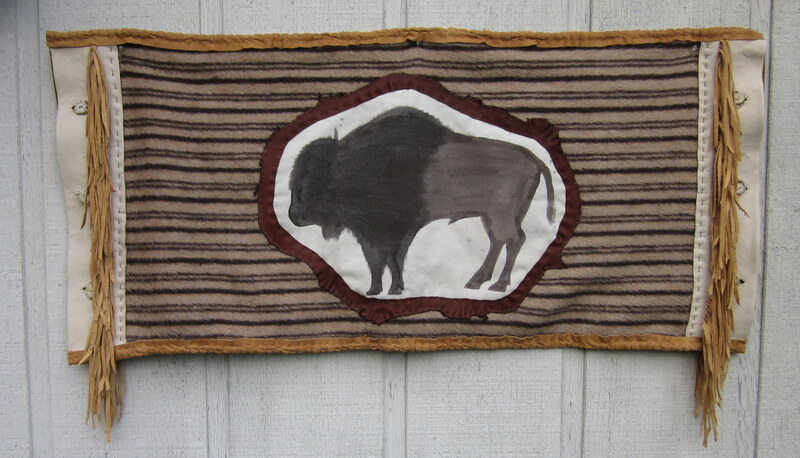 Her tipi had carried these paintings for all the years it lived in her yard. She wanted to have a remembrance of it’s presence to savor even longer. The striped wool felt of the body was recycled from a favorite coat. The leather trim framing each image, the end button flaps, fringe, and the long edge binding all are hand sewn. This creates a roughness that compliments all the parts. 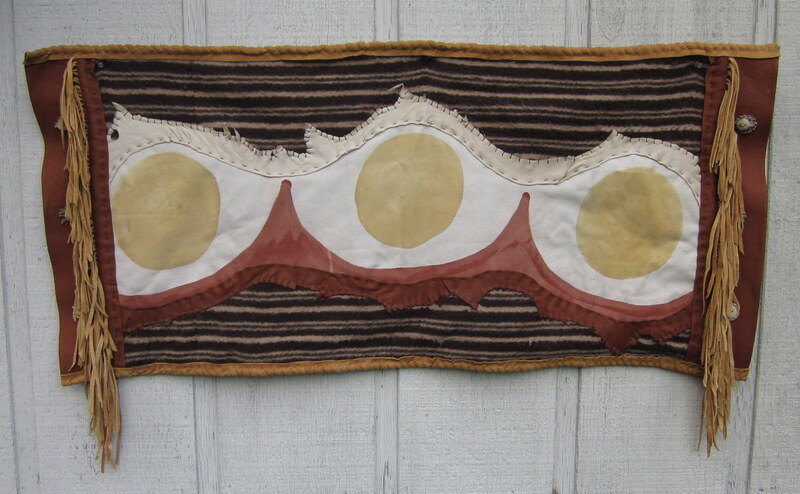 Deer skin of various types and colors and deer antler rosette buttons finish the whole piece. Front or back, either side has a full presentation. Bison today, sun’s and mountains tomorrow. I love working on projects that have a life of their own and are personal to the receiver. Your ideas and my skills, a perfect combination. What could be better than that?